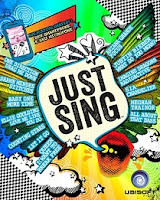 Just Sing is the latest Ubisoft’s music video game where players will be able to sing or lip sync for more than 40 songs from singers such as Justin Bieber, Meghan Trainor, One Direction and Queen. In addition, the game has recording feature performances by mobile application two game modes. The game will allow the players to record their performances through an application to iOS and Android devices. Then the clips can be customized by applying themes and filters and share these best moments among the community of Just Sing players. Those who have the accessories can record performances with the Kinect camera, Xbox One, or the PlayStation Camera. Regarding the gameplay, according to Ubisoft, there are two modes: In Party Mode, players can create clips with up to four participants singing or lip-synching a song. In Battle Mode, two players duel each other to see who is best in a 1v1 singing battle.